Is Your Wash Ready for Winter? Beat the winter woes. Tips to warm up your business as the weather cools down. As a car wash owner, you should be prepared for the influx of customers that will roll up to the door as the temperature cools down. It’s hard to think about winter when the sun is still shining, but winterizing should begin long before the seasons change. Check out our quick and easy tips to ensure your car wash system doesn’t freeze up and freeze you out. Doors tend expand and contract with the weather and get sticky. To ensure smooth operation, invest in a door system that can withstand a colder climate. As the weather turns, check your door systems to make sure they are in good working order. 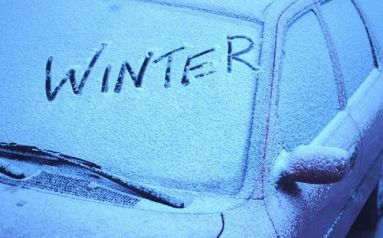 Oil squeaking parts, and inspect weather stripping, hinges and cables to make sure they can take the strain of opening and closing in cold weather. Systems deteriorate over time. Examine your wiring and other components for signs of wear or loose connections. Check your weep systems for proper operation. They are critical to preventing damage to your plumbing and wash system in the colder months. Take the time to ensure everything is functioning well and that it’s timed correctly. Check nozzles for debris, and ensure your air and water pressure are set to recommended levels for cooler temperatures and the conveyor chain is running tightly. Choose products with added antifreeze for the cold weather. The right balance of cleaning chemicals can mean the best clean at the right cost. Once maintenance is complete, perform a test run and make adjustments when needed as the seasons change. Checking everything often will ensure you catch problems before they start. To stay ahead of the game, create a year-round maintenance program so you can check things off your list long before you need to. Invest in equipment that will allow your wash system to remove harmful agents on a car’s exterior and undercarriage and perform optimally in every season. Want to know more about our systems? Contact us today.